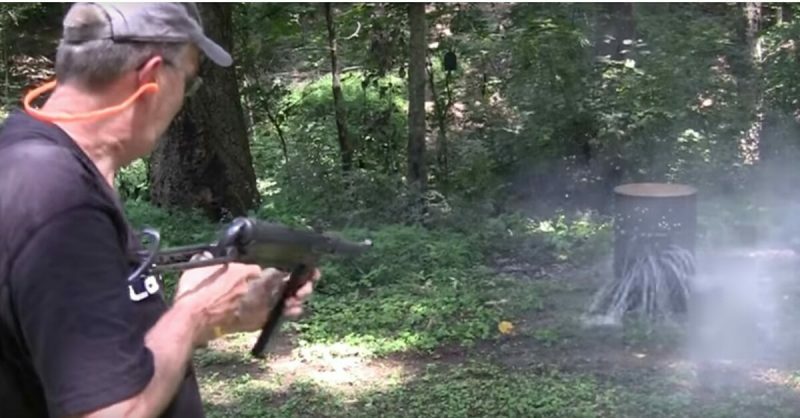 Blasting away with this fine little WWII German submachine gun, the MP40 on 55 Gallon Drum filled with water, does it get any better than this? Well, wait for it, because there is more! It was designed with more modern features that were far more advanced than anything that had come before; this made it hugely popular with both German soldiers and countries around the world (following the end of the War). It was commonly called the ‘Schmeisser’ by the Allies; this was an incorrect name as Hugo Schmeisser had zero involvement in this gun, neither in its design nor in its production.